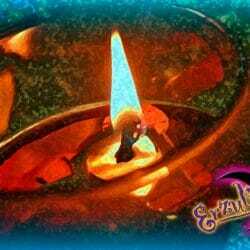 Love Spells, Voodoo Spells & Voodoo Lamp Spells ~ For less intense situations, these 3 Day Voodoo Lamp Spells Performed for you are a perfect supplement to your own rituals or spells. Erzulie’s is thrilled to provide these 3 day Voodoo Lamp Spells & Rituals performed for you by our highly experienced, initiated Vodou practitioners. Please read the detailed descriptions of the Voodoo Spells and Voodoo Lamp Rituals offered carefully. You may need to address a few areas in order to best align your situation. Upon ordering your Voodoo Spells, Love Spells & Vodou Lamp Rituals, please fill out the ritual information form required for us to prepare and perform your ritual service(s).